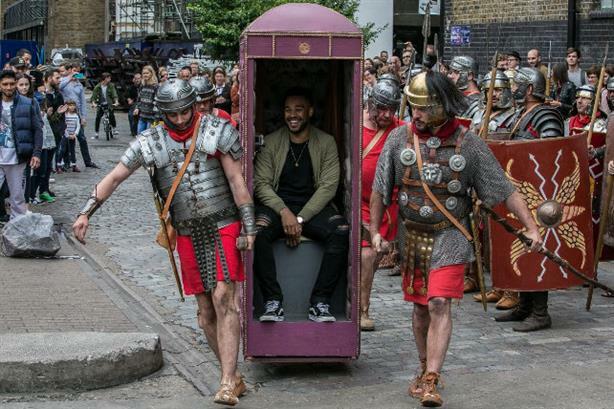 London agency Mc&T co-ordinated an immersive stunt on London's Brick Lane earlier this week, with escaping convicts, getaway drivers, a Roman legion and old-school gangsters illustrating how it feels to be free from the restrictions of mobile phone contracts. The stunt on Tuesday was executed for giffgaff, the no-contract mobile network provider, which retained Mc&T earlier this year after the firms previously worked together on a project basis. It was designed to highlight the message of a recent TV advert by giffgaff, including references to classic movies, emphasising the 'freedom' concept.